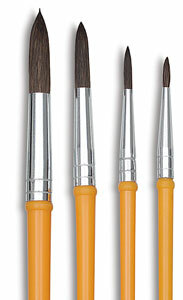 These brushes are ideal for watercolor paint sets. 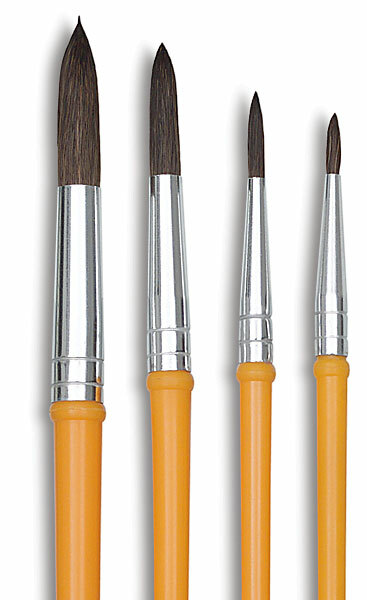 The natural camel hair and round shape of the bristles allow them to hold more fluid for covering large areas. The handles are made of yellow plastic.